Dallas designer and store owner Lisa Luby Ryan told me this morning she's preparing a campaign to run for Texas State Representative. No kidding. "This is all contingent on whether (Representative) Dan Branch vacates his seat," in district 108 to run for state attorney general, she said. She must feel confident it'll happen because Ryan has hired a campaign team that includes former University Park mayor Roy Coffee, Jr., as treasurer. "I've been holding three meetings a day and making 20 phone calls a day," to gain support, she said. "I've got an amazing campaign team ready to go." I asked the obvious question. Why would a designer want to run for political office? "I’m 48 years old, I have an amazing store and a successful design business, " says Ryan. "So what am I going to do with the rest of my life? I decided that I want to serve. Dallas has been so good to me, I want to give back. I'm too old for the military. This was a good way." There's a bit more to the story than that. Ryan, a Republican, is seeking backing from fellow designers. If elected, she hopes to limit the government's regulation of small businesses in general. In particular, she hopes to stave off looming state taxation of interior design services. Right now, designers don't have to pay taxes on their services. "I'm a small business owner, too. Let (designers) keep as much money as they can that they earned. The (design) industry is not highly regulated, and we don’t want it to be. We don’t want the government to come in and tax our services. If they start taxing our design time and fees, it'll drastically change the industry and make it more difficult to stay in business. Texas is a free market state and we want to keep it that way." Check out Ryan's Facebook page and sign up to show your support and follow the campaign. If Ryan does run, she'll have her hands full. 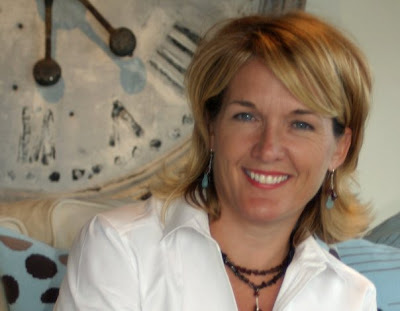 In January 2010 she's launching a new home furnishings line under her name with Dallas-based manufacturer Arteriors. The line, which includes lamps and mirrors, will be sold in stores nationwide.